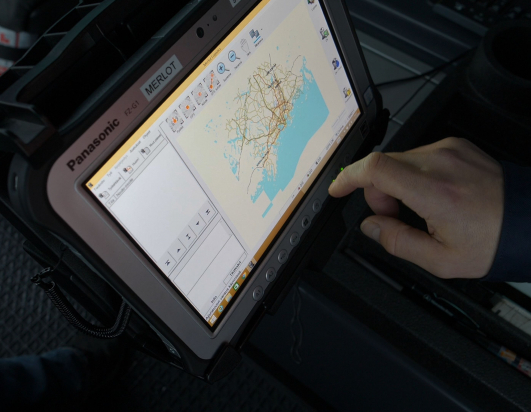 As Remeo driver Sakari Puikkonen starts his daily route, he is satisfied with the new TOUGHBOOK tablet in his truck. The device sits solidly in its vehicle dock, the display is clear to read in both bright sunlight and in the dark, and he knows that rain or dust will not be an issue. 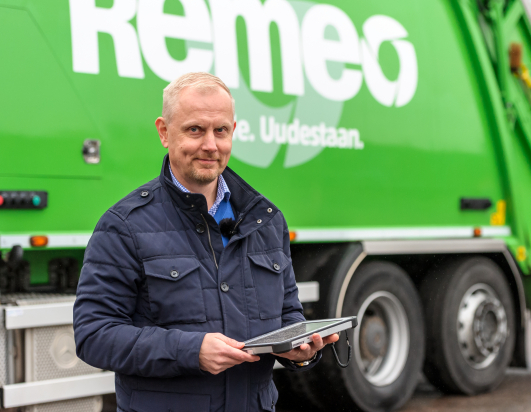 "The TOUGHBOOK is perfect for our kind of use in hard and demanding conditions," says Remeo Regional Director Kimmo Käenmäki. "The device is extremely rugged and features excellent connectivity." Remeo involved the drivers – the actual users of the devices – in the selection process. The company also evaluated professional and consumer devices from other manufacturers but found them lacking in performance and features. "Even though some other products were slightly cheaper, we found that they just didn't meet our needs. The TOUGHBOOK is a much better match for our vehicles, not least because of the docking station. The price to performance ratio is just great," Mr. Käenmäki says. Together with its customers, Remeo's goal is to enable maximal recycling and reuse of all types of materials. 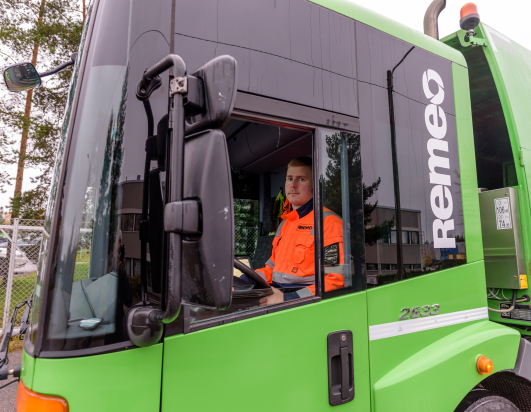 For years, Remeo has used remote connectivity software in its trucks. When the previous generation of devices was becoming technically outdated, the company decided to replace its entire installed base of vehicle tablets. The TOUGHBOOK was chosen not only because of its usability but also because of its long service life, since Remeo's strategy and values are based on conserving natural resources to support the circular economy. Remeo purchased over 200 Panasonic TOUGHBOOK FZ-G1 tablets for its special vehicles. The devices were fitted with lockable docking stations that allow them to be attached to the dashboard for safe, easy and comfortable use in the truck. The delivery also includes remote administration software for easy updates and changes to device software. Kauko Oy preinstalled the devices and created disk images for both Windows 7 and Windows 10 operating systems. The TOUGHBOOK is a key piece of equipment in Remeo's trucks. The device includes the driver's task list as well as GPS navigation for an optimized route. 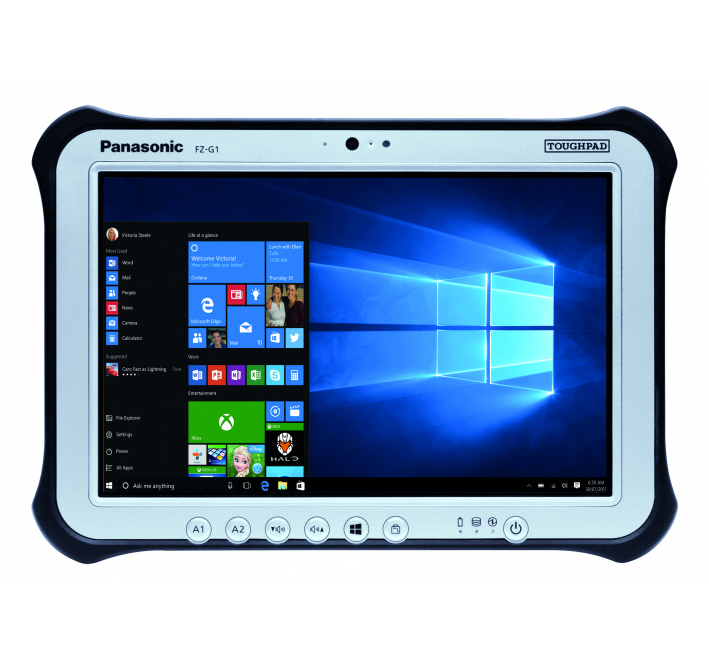 The TOUGHBOOK is also used to log any changes to assignments, such as obstacles encountered. 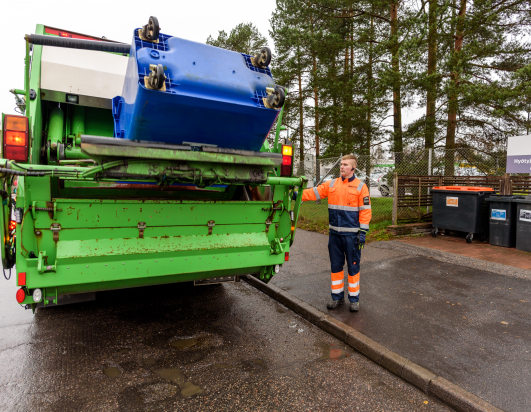 Depending on the vehicle, weight information on collected waste is logged either automatically or manually by the driver. The TOUGHBOOK is also used to handle electronic documents and signatures for deliveries. ”We chose Kauko as our device provider, because we were impressed by their professionalism and their capacity to manage the entire project. In addition to supplying the tablets, they took care of the software preinstallation, remote management and docking station installation," says Kimmo Käenmäki. "Kauko delivered a complete package and we are very happy with the result."